How to fascinate and entertain children with magic. If you are a simple enthusiastic or a professional performer, this book could be your entrance ticket into the fantastic world of children. - Written in two languages: English and Italian. 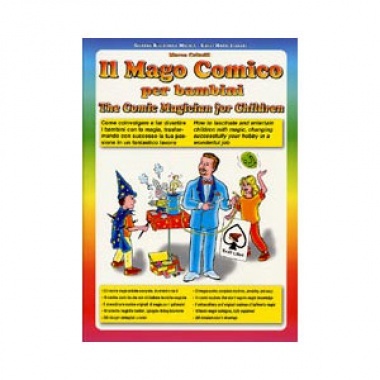 - 53 magic-comic complete routines, amusing and easy. - 11 comic routines that don't require magic knowledge. - 5 extraordinary and original routines of balloon's magic. - 18 basic magic techniques, fully explained. - 390 detailed color's drawings. The Book's subjects: - Welcome to the fantastic world of magic! - Key words. - An important audience: children. - Techniques of participation. - The guest of honour. - The magician. - The stage. - The props. - The animals. - It's not magic, but... - The art of balloon sculpturing. - The tricks: basic techniques. - The tricks: complete routines. - The outline. - What to do if... - How to make a show the first of a long series.